How does a 2018 Honda Clarity Plug-In Hybrid compare to its competition in Safety Near San Antonio, TX? For enhanced safety, the front seat shoulder belts of the Honda Clarity Plug-In Hybrid are height-adjustable to accommodate a wide variety of driver and passenger heights. A better fit can prevent injuries and the increased comfort also encourages passengers to buckle up. The BMW i3 doesn’t offer height-adjustable seat belts. The Clarity Plug-In Hybrid’s lane departure warning system alerts a temporarily inattentive driver when the vehicle begins to leave its lane and gently nudges the vehicle back towards its lane. The i3 doesn’t offer a lane departure warning system. Both the Clarity Plug-In Hybrid and the i3 have standard driver and passenger frontal airbags, front side-impact airbags, side-impact head airbags, front seatbelt pretensioners, four-wheel antilock brakes, traction control, electronic stability systems to prevent skidding, daytime running lights and rearview cameras. 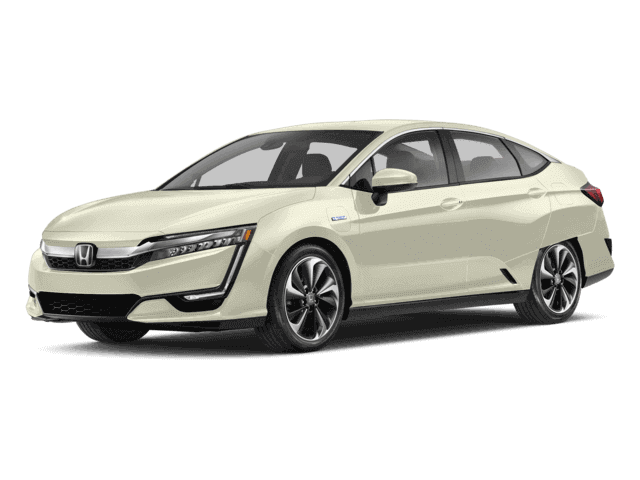 The Honda Clarity Plug-In Hybrid weighs 774 to 1098 pounds more than the BMW i3. The NHTSA advises that heavier cars are much safer in collisions than their significantly lighter counterparts. Both the Clarity Plug-In Hybrid and the Ioniq Plug-In Hybrid have standard driver and passenger frontal airbags, front side-impact airbags, driver knee airbags, side-impact head airbags, front wheel drive, height adjustable front shoulder belts, four-wheel antilock brakes, traction control, electronic stability systems to prevent skidding, daytime running lights and rearview cameras. The Honda Clarity Plug-In Hybrid weighs 509 to 516 pounds more than the Chevrolet Volt. The NHTSA advises that heavier cars are much safer in collisions than their significantly lighter counterparts. Both the Clarity Plug-In Hybrid and the Optima Plug-In Hybrid have standard driver and passenger frontal airbags, front side-impact airbags, driver knee airbags, side-impact head airbags, front seatbelt pretensioners, front wheel drive, height adjustable front shoulder belts, four-wheel antilock brakes, traction control, electronic stability systems to prevent skidding and rearview cameras. Both the Clarity Plug-In Hybrid and the MKZ have standard driver and passenger frontal airbags, front side-impact airbags, driver knee airbags, side-impact head airbags, front seatbelt pretensioners, front wheel drive, height adjustable front shoulder belts, four-wheel antilock brakes, traction control, electronic stability systems to prevent skidding and rearview cameras.